We want to go your go-to experts in roofing, siding, replacement windows, doors, and gutters in Penns Grove, home to 5100. This small borough in Salem County is made up of beautiful networks of neighborhoods that continually expand, and grow each year. We are proud to be a contributing factor to that growth.Why is Homecraft® Inc. the #1 reputable company in Penns Grove NJ? Well, in addition to using top-of-the-line brand name materials, we apply a commitment to excellence in all we do. From repairs to extensive renovations, rely on Homecraft® Inc. Did you know we are best in our class for offering top-quality craftsmanship, materials and products built to last? That’s because we devote ourselves to customized attention thanks to our history of three decades of workmanship. When you require new energy-efficient replacement windows or a new front picture window, remember that we cater to Penns Grove NJ homeowners with the widest selection and highest quality when it comes to Homecraft® vinyl replacement windows, or Andersen® wood replacement windows. For energy savings and absolute beauty, our windows last through the years. Protecting your home is a #1 priority, and a good gutter system is part of that plan. Strong, durable gutters can shield your home from water damage as well as your surrounding property. Penns Grove NJ homeowners can count on Homecraft® Inc. for top-notch gutter systems that efficiently divert rainflow due to rain, snow, or melt-off from ice. 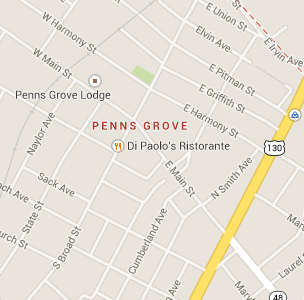 FREE Estimates on Penns Grove NJ Home Improvement, Windows, Doors, Siding or Roofing. Call Homecraft®, Inc., today at 1-877-494-0377 to schedule a FREE in-home consultation and estimate for your Penns Grove NJ home improvement project, roofing, siding, replacement windows, doors, or gutters.